What we wish we could buy/have! If you have any of these you’re looking to sell, please let us know 🙂 We also are perfectly fine with trading too. 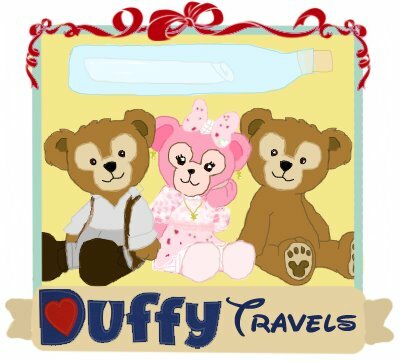 All photos are thanks to the Nana’s Dear Collection, Official Duffy Site, and The Disney Blog unless otherwise stated! The hardest thing for me is I generally like accessories more than the full outfits–so if there’s a part you don’t like, you may find it here! I have the same issue with a lot of the full outfits I like come WITH Duffy ^^; As much as I love Duffy, I don’t know what I would do if I had so many then 🙁 (Note: I have included the Japanese names for Japanese items if I’m not positive what the set name is in English. I apologize for any confusion. If you know, let me know! Also, please be aware that unless a bear is listed under Bears, I am only looking for what the bear is wearing or coming with–not the bear itself. If it’s listed under bear, I then mean the bear and everything it comes with unless otherwise stated.) As for why US stuff is included when we could get them ourselves, you can check the FAQ. 2006 Year of a Million Dreams Limited Mickey – Duffy only.